n organist and director of sacred music since entering high school, Gregory has served parishes in the Pittsburgh, Pennsylvania area for over thirty years. His undergraduate studies at Washington and Jefferson College in Washington, Pennsylvania, and Duquesne University in Pittsburgh included Philosophy, Music, and Theology, culminating in a Master's Degree in Education, also from Duquesne University, in 1992. Gregory has had the pleasure of directing traditional choirs, small vocal ensembles, contemporary ensembles, instrumental groups, children's choirs, and handbell choirs. He has been composing and arranging music for these groups for many years. He has also privately taught organ and piano lessons. 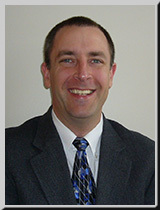 Gregory currently resides in the south hills of Pittsburgh with his children, Emily, Luke and Benjamin. Gregory is currently the Music Director and Organist for Saint Louise de Marillac Parish in Upper Saint Clair, Pennsylvania, where his children attend grade school.